I have been so busy over the past month or so with work, I can’t get over it. Too much to do and just not enough time to do it. We’ve been to Perth a few times too, at least that has meant I’ve had plenty of time as a passenger to do some knitting – finished lovely brownish scarf pictured and started on a pistachio tone scarf. Both scarves are rib, but I’m using smaller needles for the green scarf and doing K1, P1 rather than K2, P2 in the brown scarf which has made it quite bulky and stretchy. Live and learn anyway. Loving knitting, I know scarves are hardly tricky but they really jazz an outfit and are easy to make. Good tasks for driving anyway. my lovely new scarf, nice knitting don't you think? I’m learning just how cold it gets here – and caught my first cold of the year, not liking THAT too much. I’m afraid between work, being sick and family things I have really been neglecting my shop, hopefully the world will settle down in a few weeks and I can get back to it. Finger’s cross anyway. I went back to work today – it actually wasn’t toooooo bad (just a few rather long meetings). Looking forward to seeing my kids tomorrow but so much stuff on this term, it’s going to be REALLY busy. I did a bit of sewing and added some new clutches to my Etsy shop which you can check out if you feel like browsing. Creativity really seems to get a bit suffocated when I’m at work, usually so busy making ‘work’ things that I just can’t be bothered with more relaxing creating. Lately I’ve been doing more knitting, which I’m really loving as, even with a slight complicated stitch pattern, you don’t have to concentrate THAT much (especially with scarves). I never thought I’d be a knitter though, must be showing my age, although I’d like to think all my scarves are quite cool. I’m about halfway though my latest creation – photos when complete, can’t wait to wear it – yay for winter coming (I’m sure I’ll be eating my words in a few weeks!). My Beef Bourguignon in progress! 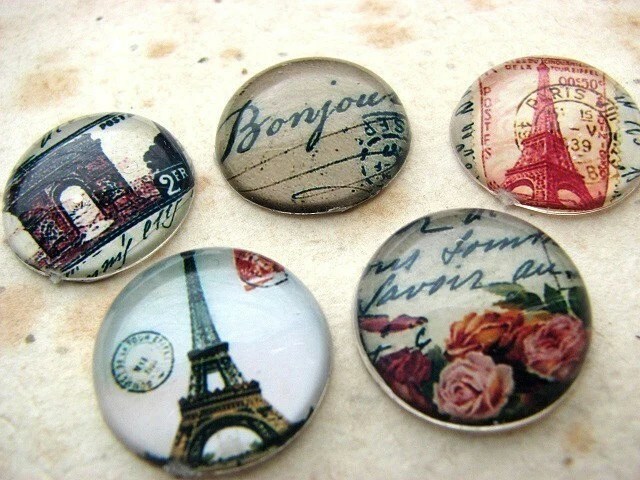 Continuing in the French theme, I found these lovelies by New Zealand shop, Nostalgem. Quite cute, yes?